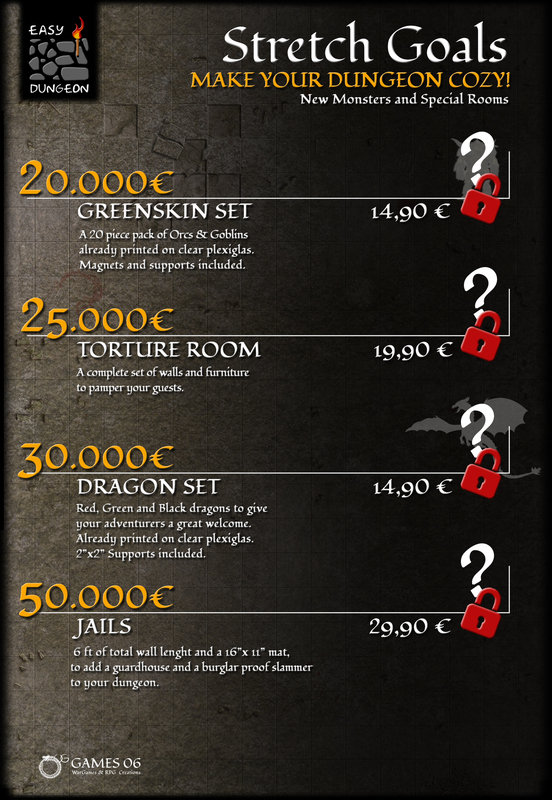 The Easy Dungeon is designed to make the gaming experience realistic, fast and convenient without having to spend a lot of money to do it. All this while keeping faith with the fundamental principle of role playing: never knowing what will be a few steps ahead! 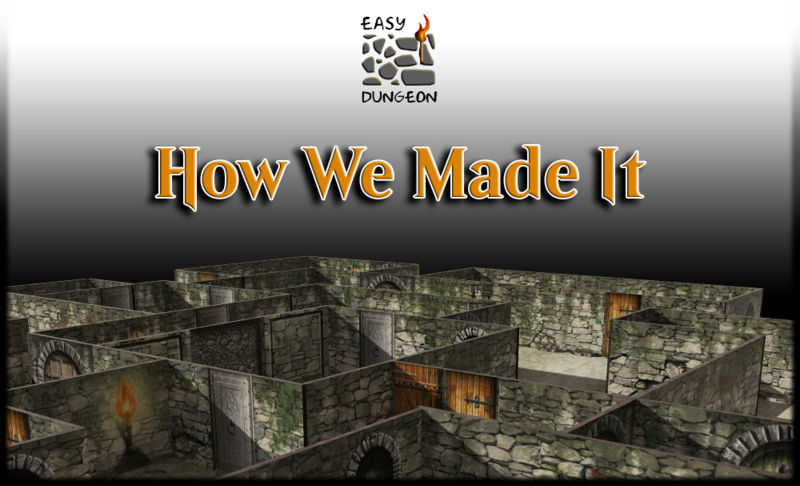 With the Easy Dungeon system you can build corridors, alleys, rooms progressively as the DM tells the unraveling of the adventure. Easy Dungeon as well as being quick to build, it is just as quick to store. Once the pieces have been replaced, the all set fits into a box slightly larger than the Mat itself (16 x 11 inches). Add lightness too (the Copper Den Set weighs just almost 11 pounds! ), the result is you can take it anywhere you want comfortably, whether you play in your home or a friend. Each module consists of a cardboard tile (uv print on both sides), a transparent plexiglass support and a magnet (Neodymium magnetic block, nickel-plated. Strength of attraction: 2.5 lbs approx.). You have to insert the magnet in the support, then proceed to fix the tile over it. Once done you will see how, as soon as you approach the piece to the mat, this will immediately attract it to itself. This Video Explains How to build up the Easy Dungeon System.